Ashampoo WinOptimizer is an excellent choice to free your system from junk data. Various powerful modules help you fix errors and boost the performance of your Windows PC. Ashampoo WinOptimizer stands for effective Windows optimization, fixing errors and maintaining a smooth system performance. Various modules enable users to individually customize, analyze and optimize their Windows systems. 1-Click Optimizer is a user favorite that declutters hard disks, repairs corrupt shortcuts and deletes no longer needed cookies or the web browsing history. But privacy protection doesn’t stop there, users can also adjust various Windows telemetry settings to affect how Windows phones home. The built-in system analysis provides detailed information on file distribution as well as possible errors. For maximum performance, Ashampoo WinOptimizer manages unnecessary services and autostart entries to free CPU and memory resources for more important processes. The extensive tweaking module provides access to hundreds of system settings that affect both the performance and look and feel of Windows. Add to that the efficient defragmentation tool and the ability to permanently erase files and you have a truly total package of Windows maintenance and optimization. This also includes the Win10 Privacy Control for added privacy protection on Windows 10 systems that disables unwanted telemetry and spy features. All cleaning modules have been updated and now support Microsoft Edge. I am not content with this software. The paid versions, from 14,15 etc. they include hard drives pro-active-defrag which means there will be zero fragmented files on the HDD. This version has no such function, which in my opinion is one of the best functions in any program, as it is the most efficient way to speed up the hard disks. This is why i only give it two stars. Most users will not notice a slowdown from even a severely fragmented disk, until available space is almost gone. Constant defragmenting will increase wear on the disk and use more energy, and will mostly affect the huge number of temporary files created by Windows. If your use involves a lot of disk I/O, or if you just want a dramatically faster system,you should be using an SSD, and then file fragmentation is irrelevant. Using our PC on daily basis, it is difficult to realize that it is getting slower by the day. After sometime PC’s no longer perform as good as they did in the beginning, and most of the users start experiencing lag on regular basis. The PC’s registry and hard drives get cluttered by useless registry and useless files, and PC does not have any way to deal with it on its own. That is why third party PC optimization applications came into existence. There are many application that claim to get rid of these files and also fix any possible errors, but most of these are not reliable. 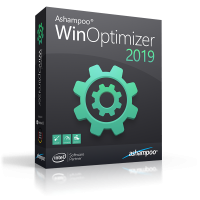 Ashampoo WinOptimizer 2018 is a powerful PC Tune-Up Utility, that comes packed with advanced maintenance and customization tools, that can help users clean, optimize, and maintain their PC. Use of the application ensures your PC is at its best state and performs well. The installer size is ~22MB, and the installation process is simple and straightforward, taking no time at all to complete. Before the installation process continues, it asks you to enter the license code and activate. Once the installation completes, you can start using the application to get rid of junk from your PC, and use the optimization tools to optimize it for best performance. It creates two desktop shortcuts, one for the main application, and the other is one-click optimizer for quick optimization. The software will also add an ‘Ashampoo Deals’ icon to your desktop. This might seem alarming, but it’s a link to Ashampoo’s online store rather than another piece of software, and you can simply drag it into your Recycle Bin if you’re not interested. The UI of the application is simple, clean, and has a modern design, with all the tools and features categorized into different categories for ease of access. On the home tab, it shows whether your PC needs optimization, or how long has it been since last optimization, along with different boxes with shows the size of junk data and number of issues, and buttons to start analyzing, optimize now, and show details of the issues. There are 10 tabs on the left side, each of which contains tools and features of a similar logical category. There’s a Statistics tab too, which shows and records the stats info since u started using the application. The statistics can be reset too. There’s a Function tab, which lists all the functions and modules that this application comes with, under different relevant category names. Moreover, you can adjust different settings, change the skin of the UI, and language. – The UI is simple and well-organized, designed to be suitable for all types of users, even the novices. – One-click optimizer shortcut to fix and optimize your PC easily. – Comes with a Drive cleaner, Registry optimizer, and Internet Cleaner. – Allows you to manage running services, manage startup, tune internet, control running processes, and uninstall applications. – Lets you manage privacy and system settings, along with the ability to manage file associations and right-click context menu. – Shows system information, lets you explore disk space, run system and HDD benchmarks, and manage system fonts. – Permanently delete files, encrypt/split files, and check program shortcuts. – Lags and stops responding sometimes when moving back and forth. – A few crashes here and there. 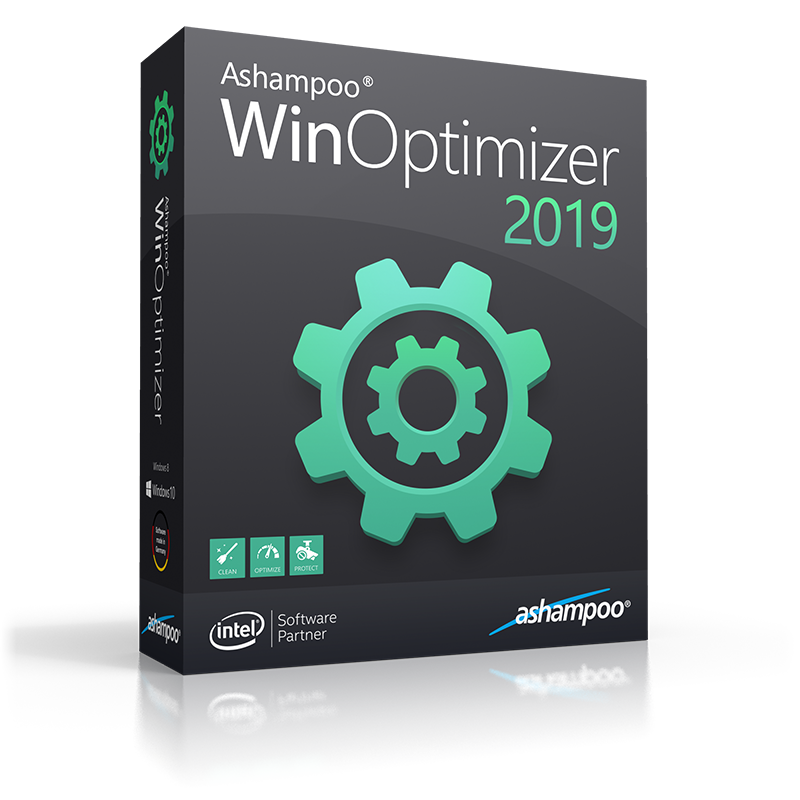 Ashampoo WinOptimizer 2018 is a reliable software application that comes with a plethora of tools and features all aimed at boosting your system performance, and keeping it in a healthy state. It is designed so that both beginners and experienced users can get used to it easily. The application does lag here and there, but the features it offers definitely worth-tying. Ashampoo Winoptimizer is a great optimizer with many different modules for doing all kind of tune ups to your PC. I have used previous versions for years and they only keep getting better. Can’t go wrong with this deal , snag it while you can!! I have been using ashampoo window optimizer from last 2 years. Such a software working like a charm, better than ccleaner. Why don’t we just tell it how it is? It is basically identical to almost every other Maintenence Suite on the market, including but not limited too ioBit’s Advanced System Care, AVG PC TuneUp, Glary Utilities, WiseCare 365, etc… Gone are the days where new, innovative tools would rocket these suites to the top of the charts. Nowadays, they all tend to include the same services, cleans and tweaks and perform very similar to one another. So, if you don’t have any of these Suites installed and you’d be interested in having one without paying, I’d say go ahead and snag this one while it’s free. No need to pay for one of the other ones when this one will basically perform the same tasks, at a very similar quality. Over time, your computer gathers a lot of junk and unnecessary files. In turn, these files lead to a slow and less responsive system. The most effective way of resolving this problem is by optimizing your system. That is where Ashampoo WinOptimizer 2017 comes in handy. This program boosts of a number of useful modules to revamp your computer’s performance once again. After using the program for a while, here is my take. You will have an easy time installing Ashampoo WinOptimizer 2017. After firing up the program, you will note that it is reminiscent of other Ashampoo programs with an intuitive UI. Despite the tons of features, modules, and options on offer, the interface still manages to remain clean and pleasing. In addition to the straightforward tabs, this optimizer throws in other options that you can access by clicking on the roll out arrow at the top right side of the interface. Right off the bat, you will note this program’s approach to ensuring you optimize your system, as you need. In particular, the options under the Modules tab exist for your exploration. These options are in well-categorized groups to ensure the different aspects of your system and operating system perform optimally. It is easy to use Ashampoo WinOptimizer 2017 to optimize your system. This ease of use spans right from the UI to the categorization of modules. As such, you only a few clicks to initiate most of the system fixes for discovered problems. More often than not, the need to identify big files for deletion arises. If you perform the process manually, you might end up spending a lot of time. Thankfully, this optimizer has the “Find resource hogs” module that automates the process. Afterward, it displays the results in a simple and nice graphical representation for easy interpretation. That is not all. You can take advantage of another module that lets you delete files permanently. This module ensures you get rid of unwanted files, hence preventing any further resource hogs. On a number of times, Ashampoo WinOptimizer 2017 crashed as I launched it. In turn, I had to relaunch it. Although the crashes were not too many to be inconveniencing, they paint a picture of some form of instability. Ashampoo WinOptimizer 2017 goes all out to present loads of optimization options. Actually, it will take you quite a while to explore use all of those features. The program’s intuitive UI is something positive that would intrigue a number of users and improving their user experiences. before I get this program…may I ask in comparision to my other cleaners: kcleaner and wise disk cleaner, would this product outdo the ones I have now? this pc is less than 8 months old and already its starting to show some slowness in opening files and rebooting. my main concerns are optimization, deleting mass quantities of tracers etc. New PCs perform at their optimum, they launch and run large programs easily, boot up quickly, and open multiple windows promptly. However, after you have used them for quite some time, performance issues set in. If your computer has become sluggish, you need to install a performance booster like Ashampoo WinOptimzer 2016. Ashampoo WinOptimzer 2016 is a collection of different utilities put together to improve the speed at which your computer executes tasks. It has utilities that remove duplicate files to free up space, repair the windows registry, delete files permanently, and speed up the internet connection. Most of them are really useful. Although Ashampoo doesn’t provide the actual hardware requirements needed for this software to run perfectly, they insist that as long your computer runs Windows 7, Windows 8, or Windows 10 seamlessly, Ashampoo WinOptimzer 2016 will work perfectly. And it did on my 4th Gen Intel Core i3-4030u, 4GB, 1TB computer. If your computer is slower, don’t expect similar results. Ashampoo has a One-Click-Optimizer which best for novice users and if you feel confident enough to play with more settings, go to the settings tab on WinOptimizer’s main window. Ashampoo managed to squeeze in a myriad of handy functionalities. While some, like the process manager and disk space explorer, are common functions found in the Windows OS, the harddisk inspector, link checker, file splitter, file recovery, duplicate finder and file wiper, among others are essential in your everyday use. Despite having all these interesting functions, I still find Ashampoo WinOptimzer 2016 to lag way behind Iolo system mechanic in some aspects. It’s sluggish and its diagnostic tools won’t always give correct results. You can feel a huge increment in performance when you run Iolo system mechanic compared to what you get from this software. Ashampoo WinOptimzer’s One-Click-Optimizer is arguably the standout feature on this application. It automatically cleans, optimizes and protect your PC fully just by clicking a single button. If you love playing around with system settings like I do, you wouldn’t fail to notice how customizable this software is. This is incredible! You can customize the system analysis process to perform only tasks you want it to, and also set options for finding and cleaning resource hogs. Despite being highly customizable, Ashampoo is slower than Iolo system mechanic and most of its utilities do not perform better either. Ashampoo WinOptimzer 2016 is definitely one of the best system optimization tools for windows. The manufacturers seem to have taken heed of the mishaps in the previous version and improved almost all of them. However, it still lags behind Fix-It and Iolo System Mechanic in diagnostics, speed, and optimization. It is a decent software worth using. You speak about 2016-Version, but this here is 2017!